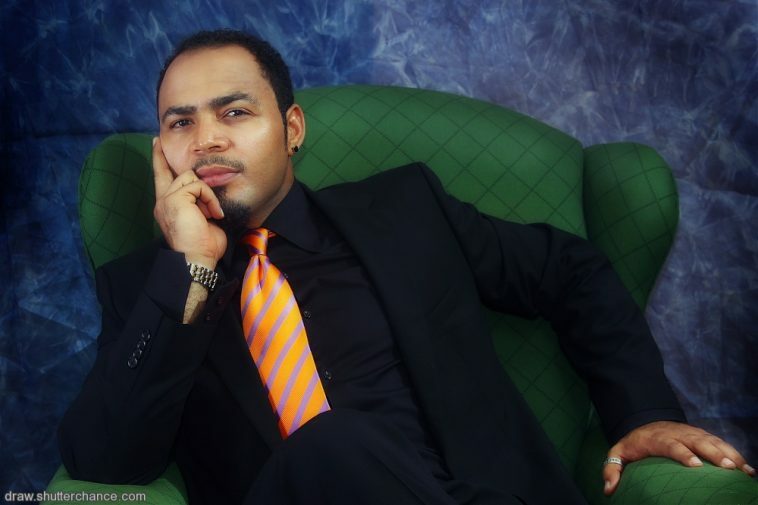 Dashing ace actor, Ramsey Nouah popular for his ‘lover boy’ roles back in the day has revealed in an interview with premium times how his wife has been able to keep their home together. Ramsey, your marriage appears to have stood the test of time. You have been married for 15 years now. Some of your colleagues have been unlucky in this regard. RAMSEY: Contrary to a widely held notion, the success of a marriage largely rests on the woman. But these days, a lot of marriages are based on equality. A woman wants to get 50 per cent of whatever she is giving into the marriage back from the man. This has led to the breakdown of many marriages. From time our mothers used to be the women that held their marriages. They were in charge of the home. Our mothers took charge of everything but today women don’t want that kind of responsibility. Hence, it is affecting marriages. My wife belongs to the category of “our mothers”. She believes in sustaining our marriage and holding it strong. So whenever I am asked how we have been able to keep it together, I tell them my wife is the woman who has actually held our home. Do you also accord her rightful place in the home? RAMSEY: She doesn’t have a place because she owns the home. It’s her call however (way) she wants things done. She is the driver of the family and her decision is final. That is why I say she is not an ordinary woman. She is a triple woman. Is she comfortable with your romantic and kissing scenes? RAMSEY: When some people ask me “how does your wife cope when she sees you kissing other women in the movie?” and I tell them that my wife is special. She is not an ordinary woman. She understands things in a way many other women don’t. That is why I say, an actor or actress, has to find that special person. It is not love that will bond you. Forget love, love dies. What sustains the marriage is companionship. If you cannot find companionship in your partner from the beginning, then you do not have a partner. Don’t lust after a woman because of her beauty and don’t lust after a guy because he is handsome. You must lust after the companionship that bonds you together. It should be like “for some reasons you cannot do without her; for some reasons there is something about her that brings you home”. So, you guys have had it smooth sailing in your marriage all the while? RAMSEY: Don’t get me wrong, don’t think that we don’t have our moments of disagreement. But it depends on the way we handle it. Women cannot stand the heat in the kitchen anymore and they just want to run. That is why marriages are crumbling. A lot people don’t want to work hard anymore, because marriage is hard work. So when you talk about marriages crashing, it’s not my call. The only problem that I have is to make sure I provide food for the family. Any counsel for your colleagues who have been unlucky with love and marriage? RAMSEY: Nobody gives advice when it comes to matters of the heart. People say they are going for counseling and all but at the end, it is what is in their heart is still what they want to do. Because those things in your heart are laced with emotions and emotions are very hard to tackle. Divorce is on the rise. Why do you think this is so? RAMSEY: When a woman believes she earns more than the man, the man should start doing the work of a woman like sweeping, changing diapers. There is no sense in that. A woman’s place should not change and the same applies to the man. I am not expecting a woman to overwork herself with house chores. I help and support my wife when there is no help in the house. I sweep when I have the time. In what ways do you also help out in the home? Some of your fans cannot picture you doing house chores? RAMSEY: The thing is that everyone now has the perspective of wanting to live larger than life, forgetting the reality. We keep forgetting that if we don’t do it, who will do it? At some point my wife got tired of house helps. We have three kids at home and we have to fend for them. I cannot leave everything for her, so I help out. Sometimes we tell the kids to wash their plates. At some point I realized that my 12 and 13 years old could not sweep and that was very wrong. So we started forcing them to clean. Most kids of these days cannot sweep or clean. All they want to do is do is make their nails, make their hair and carry big phones and tablets around. Many people wonder why you do not step out with your wife on the red carpet? Some say you don’t take your wife to red carpet event because she is not beautiful?